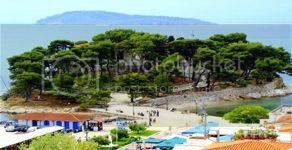 Welcome to the rented family rooms-studios in the skiathos on the most beautiful island of Aegean, for your accommodation. The capacity of the rooms-studios and apartments is comfortable and spacious and there is the possibility for extra beds or baby cots depending on the demand. We have double triple and quadruple rooms-studios and apartments, with traditional wooden beds and furniture such as bedside, tables, chairs, toilets-mirrors, large kitchen, bathroom, balcony and more. It consists of 11 furnished rooms-studios and apartments fully equipped with comfortable balconies overlooking the sea or the garden. We provide: A / C air condition, TV 32 inch , led smart tv-netflix-you tube-satellite TV, wired and wireless internet, fully equipped kitchen, cooking facilities, cooking utensils, electric stove, electric oven, freezer, private bathroom, bathroom with shower, kettle, coffee maker, filter coffee maker, espresso tools, toaster, hair dryer, safe, iron and ironing board on request, toiletries, linen towels and linens, baby crib. There is communal courtyard with tables and chairs and umbrellas to enjoy your coffee or drink in the beautiful and peaceful surroundings. There is a washing machine that is in a communal room where you can use it. (on charge). There is a laptop computer – Fax – a copy or scan printing multifunction machine that you can use. (with minimum charge). Changes in towels every other day. Changes in bed sheets every 4 days.